Stunning maintenance free Villa, completely renovated and ready for immediate move-in. With all the updates there is nothing else left to do but to enjoy your private retreat. Here are some updates that you can check off your list, Spacious and open new kitchen with all soft-closing and no-slam cabinet doors and drawers, lazy-susan, granite countertops, tile flooring and stainless-steel appliances. 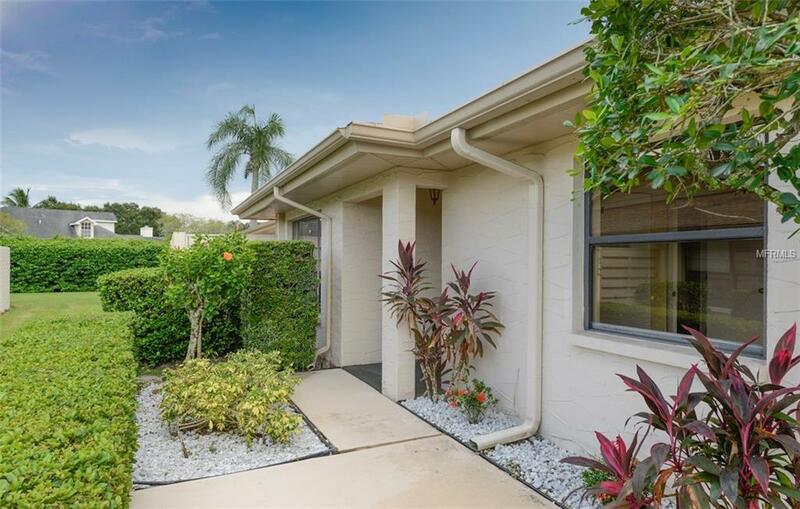 Two separate very species living spaces.Guest bathroom has large new vanity with granite counter-top, tile flooring and garden tub.Master bath has new vanity,enclosed shower,tile flooring and walk-in closet. The entire inside of the home has been painted and new light-fixtures added. Wood-looking laminate flooring installed throughout the home with new baseboards.The neighborhood is very well kept so is your maintenance free front and beck yard.Enjoy beautiful sunshine from your private and enclosed lanai. THE HOME COMES WITH A 1 YEAR HOME WARRANTY COVERAGE AND $1000 TOWARDS BUYERS CLOSING COST, call your agent for details and to schedule your private showing! Additional Lease Restrictions Please Refer To Hoa Rules And Regulations.